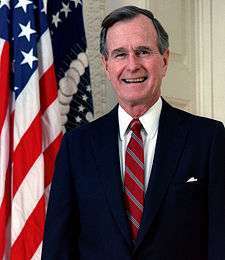 George Herbert Walker Bush, 41st President of the United States (1989–1993), 43rd Vice President of the United States (1981–1989); Director of the CIA (1976–1977) and United States Representative from Texas (1967–1971). ↑ "TX US Senate- R Primary". Our Campaigns. Retrieved March 19, 2008. ↑ "TX US Senate- R Primary Runoff". Our Campaigns. Retrieved March 19, 2008. ↑ "US President – R Primaries". Our Campaigns. Retrieved March 19, 2008. 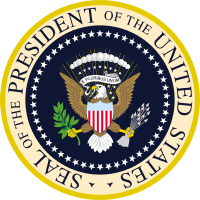 ↑ "US President – R Convention". Our Campaigns. Retrieved March 19, 2008. 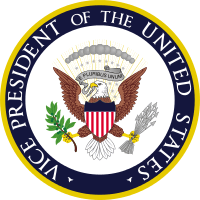 ↑ "US Vice President – R Convention". Our Campaigns. Retrieved March 19, 2008. ↑ "US President – RTL Convention". Our Campaigns. Retrieved March 19, 2008.